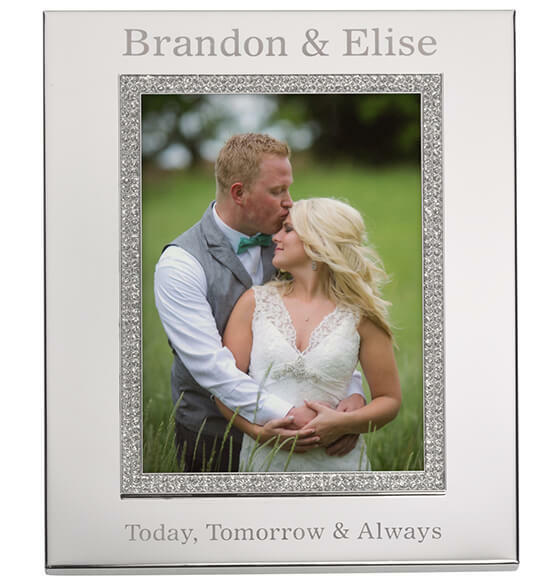 This Personalized Brilliance 5 x 7 photo frame is the perfect way to display a very special photo. Shiny nickel plating and a glittering rhinestone border draw attention to the memory captured within. 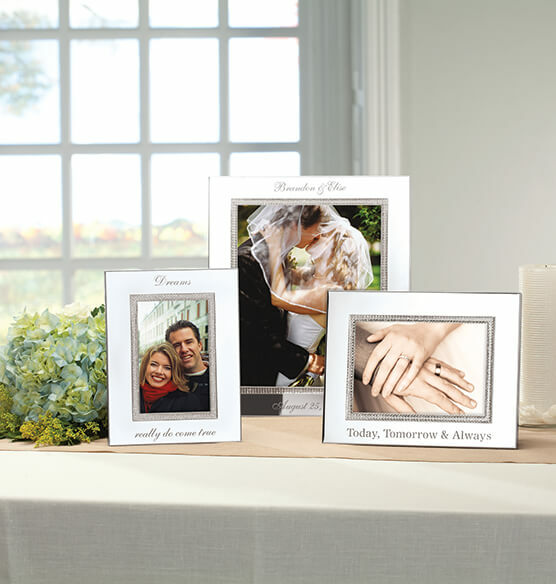 Add personalization to the top and bottom to create a one-of-a-kind keepsake. 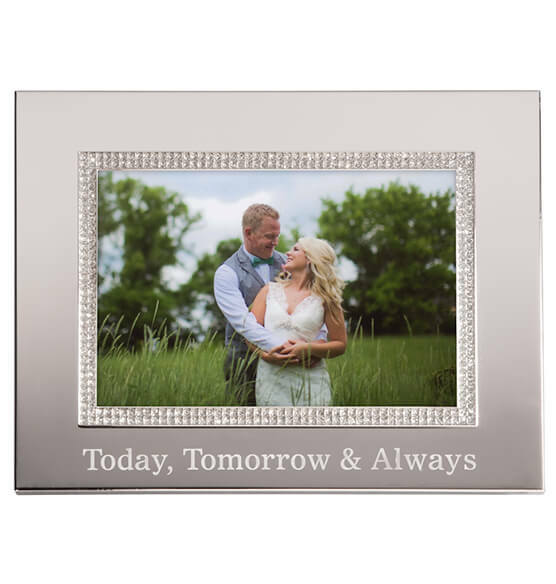 This 5x7 frame makes a glamorous wedding gift.